The Plinth Coffee Table is an absolutely minimal lined rectangular marble table. Designed by Norm Architects in 2017 for use in homes, offices, reception areas, and galleries, the reduced essence of the Plinth Coffee Table is a clear and focused celebration of the natural beauty of marble. The Plinth Coffee Table has a low height of 10.75” | 27.3 cm, length of 39.5” | 100 cm, and width of 23.75” | 60 cm. The marble is available as either Carrara or Nero Marquina marble. What is the Plinth Coffee Table? The Plinth Coffee Table is an absolutely minimal lined rectangular marble table designed by Norm Architects (2017). 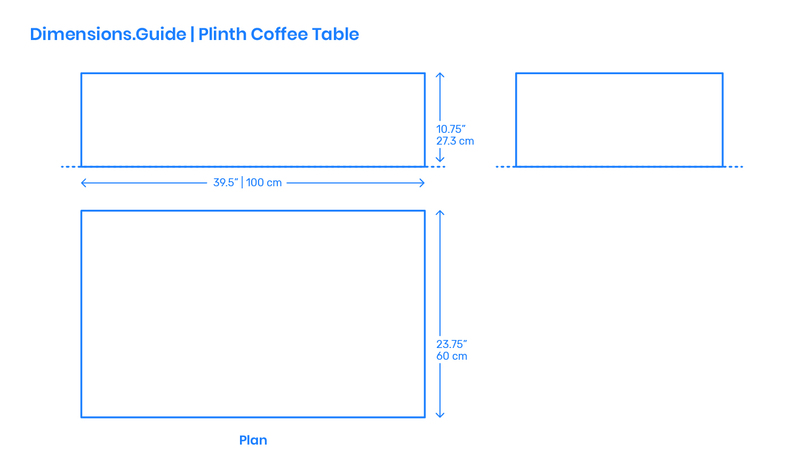 How big is the Plinth Coffee Table? The Plinth Coffee Table has an overall length of 39.5” | 100 cm, width of 23.75” | 60 cm, and an overall surface area of 6.5 ft2 | .6 m2. What height of sofa should be paired with the Plinth Coffee Table? The Plinth Coffee Table has a low tabletop height of 10.75” | 27.3 cm and should be paired with sofas with similarly low seat heights between 10.75”-12.75” | 27.3–32.4 cm.